Stewart McCloud has designed his practice to be client-centered. With energy and poise, he takes a personal, up-close approach to every case. Entrenched in his clients’ defense, Stewart digs in, researching and strategizing a case around their specific needs. The son of two attorneys, he learned early on how valuable personal attention can be to every part of the litigation process. 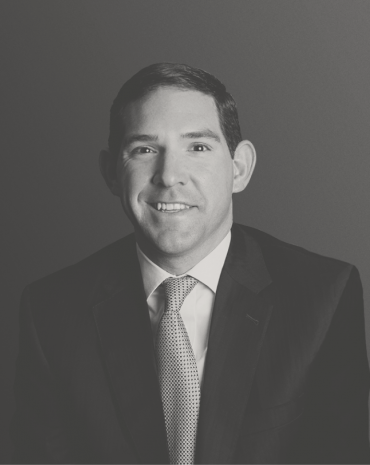 Since joining the firm in 2007, Stewart has concentrated his practice in the areas of insurance coverage and defense litigation, professional liability, asbestos and toxic tort litigation, trucking litigation and product liability. He represents a broad range of companies and professionals across the State of Alabama and throughout the Southeastern United States. He routinely handles professional malpractice claims against lawyers and law firms as well as providing analysis and legal recommendations to insurance companies facing questions concerning policy coverage. Resourceful and driven, Stewart works hard to bring every advantage to his clients’ cause. When he’s not working, Stewart enjoys golfing, cooking and spending time with his wife, Harris, and their two young children, Merrill and Tade. Stewart earned his BS from Southern Methodist University and his JD from Cumberland School of Law at Samford University. November 2016 - Summary judgment obtained on behalf of three separate homeowners in a lawsuit alleging increased surface water drainage on to the plaintiff’s downhill property. Obtained summary judgment in favor of an attorney sued by former clients. Obtained dismissal in favor of law firm in suit alleging numerous violations of the Fair Debt Collection Practices Act. Defense verdict on behalf of dentist following bench trial. Defense verdict on behalf of Lawrence Transportation Company and its driver in an automobile negligence case following bench trial. Selected by the National Multiple Sclerosis Society to become a member of the Birmingham MS Leadership Class of 2016.